Kaffetino Cafe has beautiful modern space, delicious drinks, especially Latte Coffee. 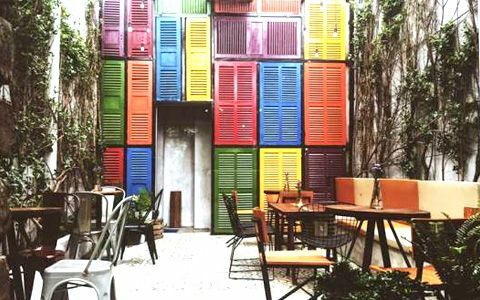 Kaffetino will always be a great choice in the heart of Nha Trang. Come to feel! Kaffetino Cafe is located at 46 Yersin Street. Kaffetino Cafe is small but beautifully designed, lovely, reasonable. Very suitable for young teens selfie. Water menu is diverse, suitable for the taste, especially excellent peach tea, pieces to dig, not thin as there are many other restaurants. Latte coffee is beautiful and delicious. The bartender made the water very fast, although the restaurant was crowded I never had to wait more than 15 minutes. Serving warm, polite, agile. Overall very satisfied with the restaurant as well as enjoyed the staff here.